The GenGold® Local Business Program is an exciting opportunity for businesses to reach thousands of people without the cost of advertising. GenGold® is a special program that offers member savings, discounts and rebates on airfare, cruises, resort condos, hotels, rental cars, long distance telephone service, movies, health services and, of course - LOCAL BUSINESS PRODUCTS AND SERVICES! 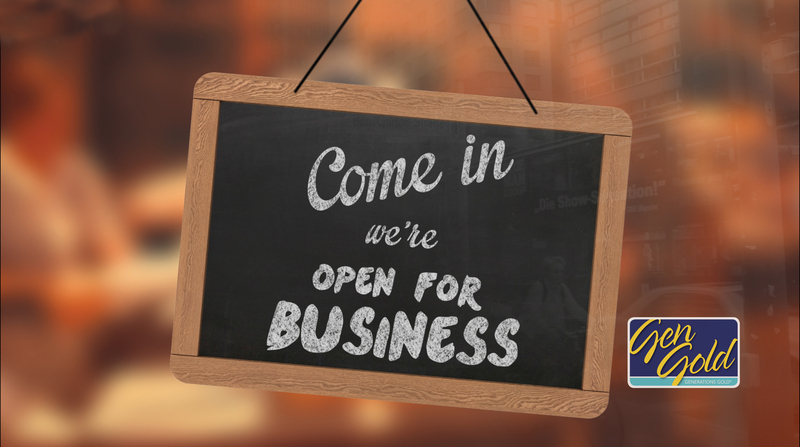 Let us show you how the GenGold® Local Business Program can help boost your bottom line today! We will promote the Local Business Program. As a local business owner, you will also have access to the exciting GenGold® membership benefits FREE of charge! 1. Offer a meaningful discount off the regular retail price of products and services. 2. Educate your staff about the program and the discount. 3. Prominently display the "GenGold® Welcomed Here" decal. Our members love to show their card and save! By providing an exclusive discount for GenGold® members, you will be able to build a loyal customer following for years to come.